iPhone gamers can finally join the Enlightened or the Resistance, battling for control of portals on their way to pick up the dry cleaning or walk the dog. Yes, Niantic Labs has brought augmented reality game Ingress to iOS, after it gained popularity on Android and even came unofficially to Google Glass. In the game, players walk around their city—for real, and not just in the game—searching for portals on a map. Portals tend to be public works of art, landmarks, parks, and historical sites, so it’s a nice way to stretch your legs and find new places of interest nearby. But you’re also trying to capture those portals for your team, expanding the reach of your faction, and picking up invisible items dropped by other players. You can play Ingress on your own, but Niantic Labs (the same development team inside Google that’s responsible for Field Trip) also coordinates live events that let players meet up and play together. From London to Los Angeles to New Zealand and Japan, more than 12,300 players gathered in 65 cities so far in 2014, says Niantic Labs, and Ingress competitions have even cropped up at Google I/O. 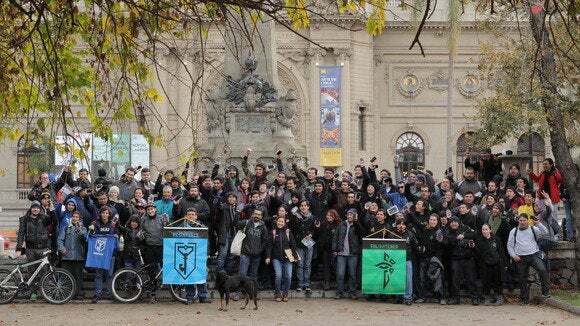 Ingress players meet in Santiago, Chile to claim portals for their rival factions. iOS players who want to jump in to Ingress’s shadowy world can check out a couple of YouTube shows to get up to speed. The Ingress Report keeps players up to date on the game’s events, and Ingress Obsessed is an officially sanctioned video diary from two sisters documenting how the game is sucking them in. Last summer, TechHive also interviewed Niantic’s head John Hanke about how Ingress’s philosophy of “ubiquitous computing” is informing the future of augmented reality and wearables like Google Glass. Mobile gaming has always been about the freedom to play anywhere, but games like Ingress that use geolocation to make the whole world into part of the game universe are a new breed of fun, and an excuse to get out and explore. Ingress isn’t aimed at kids, but Microsoft and DreamWorks just teamed up for Dragons Adventure World Explorer, aimed at kids stuck in the back seat of an otherwise-boring car trip. The game uses the location of your Windows phone or tablet to incoporate real-world streets and landmarks into a game universe based on the How to Train Your Dragon movies, and even times the game session to the length of your trip. Just call it How to Train Your Future Ingress Master. 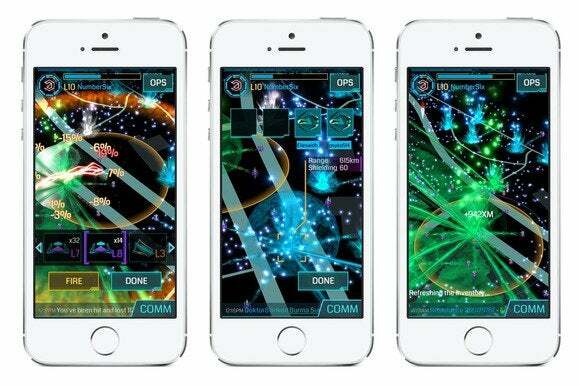 This story, "Augmented-reality game Ingress makes the jump to iOS" was originally published by TechHive.